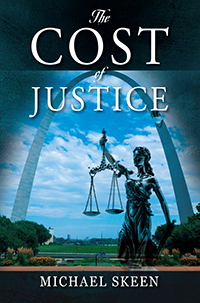 Michael Skeen’s “The Cost of Justice” is the third book in a series following the election of President TJ Samuels. Even though he was popular with most, he was disliked by the political majority and elite. Since elected, he has fought Congress, terrorists and assassins. He has already led the military to expel the invaders and occupiers. Now, can he end World War III? TJ uses his ultimate weapon–Prayer! Can Vladimir be stopped?